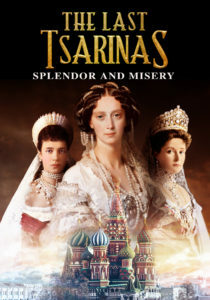 A riveting look at the German-Russian tsarinas and the struggles they faced. From Catherine the Great up until the last Russian Empress, all of the Russian Tsarinas were, in fact, German. What brought them to Petrograd were marriages arranged in the royal courts of Europe. Once wed, the young brides were firmly in the straitjackets of the Russian monarchy. An individual personality and identity was denied, the sole purpose of their being became a role as custodian of centuries of Russian tradition… and as figureheads to the Russian nation. This dynamic documentary tells the dramatic and historical stories of survival and suffering as these women navigated their strategic marriages, their longing for true love, and the shackles of European power politics.